For our recurring Q&A series, we spoke with Patrick Moulette, Head of the Anti-Corruption Division at the OECD (Organisation for Economic Cooperation and Development). 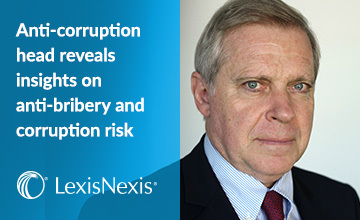 He shares how the legislative landscape has changed since countries signed the OECD Anti-Bribery Convention 20 years ago, and the impact it has had on companies’ attitudes towards compliance. PM: A good example is whistle-blower protection. In 2009, the OECD adopted a recommendation that countries should improve their domestic legislation to protect whistle-blowers when they report allegations of foreign bribery. When countries introduce this kind of legislation, it usually does not just cover foreign bribery but whistleblowing protection in a much broader sense. So as we add more guidance to the Convention, and give advice to countries, it has a very significant impact on legislation to fight corruption and other financial crimes.